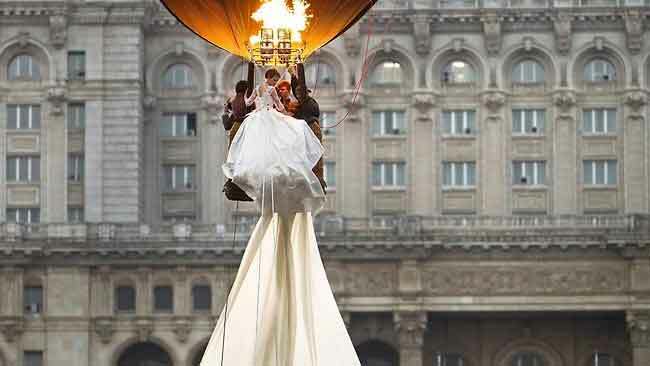 A model rides in a hot air balloon to show the worlds longest wedding dress train during a Guinness World Record attempt in Bucharest, Romania, Tuesday, March 20, 1012. 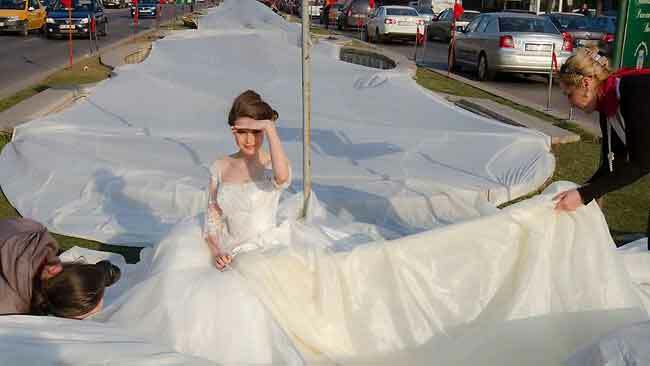 Romania has set the world record for the world’s longest bridal train. 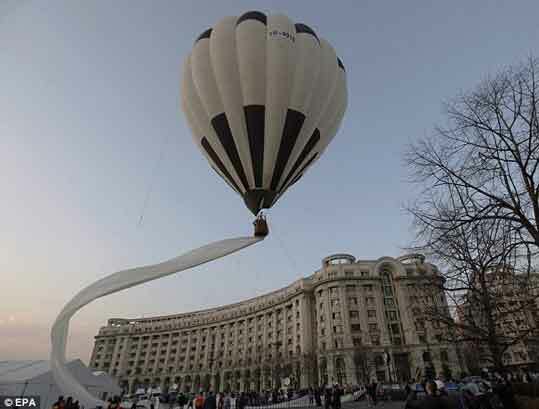 The nearly 3-kilometer (1.86-mile) long ivory train, which took 100 days to stitch, was showcased dramatically on Tuesday on the boulevard leading up to the giant palace built by late dictator Nicolae Ceausescu, seen in background. 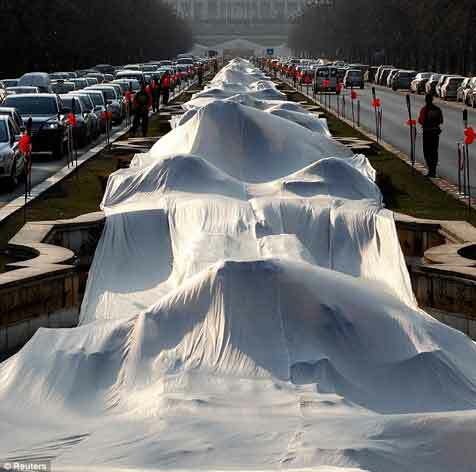 The previous record was 2.488 Km. // Photos via Daily Mail and The Telegraph.